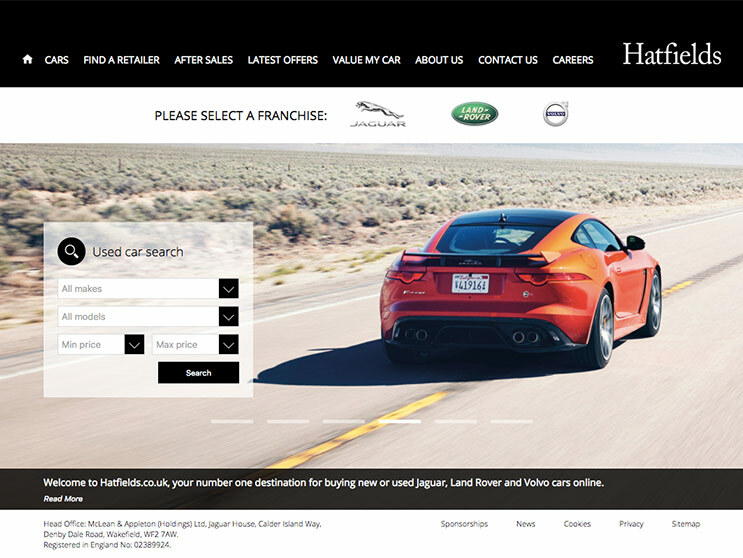 The used car search is completely custom, with 12 filtering options and a user-enabled shortlist and car comparison feature. The retailer pages have full Google-API integration, and sites are fully contactable directly through bespoke contact forms. Moreover, the site is fully editable by the retailers themselves. All stock updates are automated from each sites’ system. Through the use of smart cookies, we are able to track a users regular activity, and point them to sections of the site that is relevant to them.